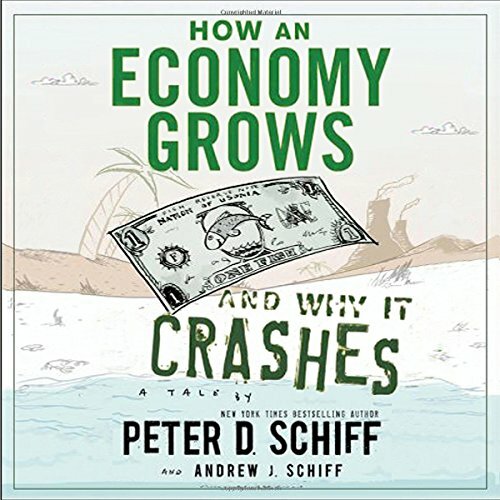 Showing results by author "Andrew J Schiff"
How an Economy Grows and Why it Crashes uses illustration, humor, and accessible storytelling to explain complex topics of economic growth and monetary systems. In it, economic expert and bestselling author of Crash Proof, Peter Schiff teams up with his brother Andrew to apply their signature "take no prisoners" logic to expose the glaring fallacies that have become so ingrained in our country's economic conversation. Very well written, will change your perspective.